Located within Costa Brava and overshadowed by the imposing and yet beautiful Rocamaura Mountain, the luxury camping site of Castell Montrgi offers mobile homes, bungalow tents and a host of other amenities. Additionally, this camping holiday provides splendid views of nearby L'Estartit Bay alongside a wealth of attractions which are perfect for the entire family. To book your reservations now or if you wish to learn more details, please contact Lux-Camp at your earliest convenience. 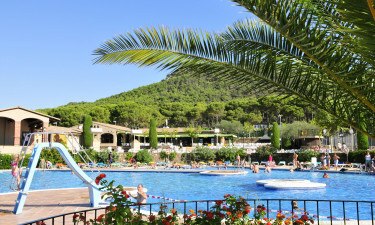 Why should my family choose the luxury tents and other benefits found at Camping Castell Montgri? One of the defining characteristics of Castell Montgri is that those who enjoy luxury camping will be pleased at the variety of sports and activities which can be played. For example, a zone known as L'Ombra offers a large game room which both children and adults can frequent. Table tennis, miniature golf, sailing and football are additional attractions found within minutes of mobile homes and luxury tents. While this holiday camping site is indeed impressive, there are also free trips to nearby areas that can provide families with even more excitement. Spots such as Port Aventura and Marineland can be experience alongside famous nearby cities including Barcelona, Girona and Figueres. Another feature of this holiday camping site is that children of all ages can participate in numerous activities while parents receive some much-needed relaxation. 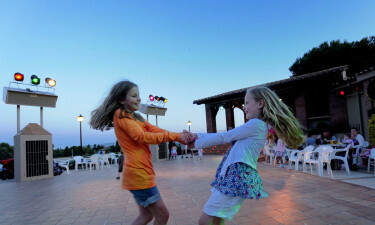 Attractions include (but are not limited to) daily arts and crafts activities, play and exercise rooms, the Castell Montgri Children's Show and even Olympic games (between July and August). Whether you wish to take the family out for a wonderful dinner or a few cocktails are in order, camping in luxury has never been tastier. Also, all eateries are within only a short walking distance from your on-site bungalow tent or mobile home. 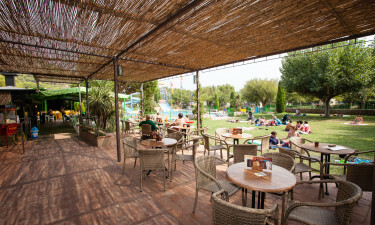 Torre Moratxa is a wonderful pizzeria perfect for the whole family while La Bassa Bar offers refreshing views of pine trees and a more intimate setting. To end the night on a positive note, why not enjoy a bit of dancing at the Disco L'Arada? For more information on these and other luxury camping benefits, please contact Lux-Camp for further details. If you wish to stay in and prepare a meal from the comfort of your luxury tent or mobile home, you will be pleased to find that Castell Montgri also offers an on-site supermarket located in the centre of the campgrounds. This is open throughout the year and provides fresh baked good, frozen produce and even a fast food stall. Other retail outlets are located a short distance from the campsite itself. Indeed, this location is a luxury camping site that is certainly not to be missed.